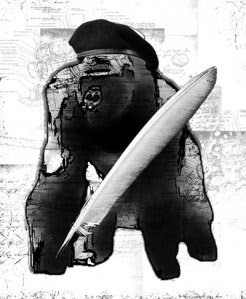 The Guerrilla Lit Reading Series welcomes Andrew Zornoza, Rachel Sontag, and Kerry Cohen to Bar on A. 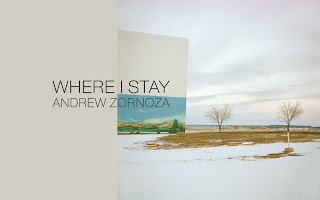 Join us at 7:30 P.M.
Andrew Zornoza's new novel "Where I Stay" is now available from Tarpaulin Sky Press! Get an early copy here. Lance Olsen calls it . . . "A gifted journey through borderlands between text and image, glassy prose and suggestively indirect prose poem, facts and fictions, sanity and the other thing, but most of all those borderlands crossed and recrossed on the West's back roads—the kind that always exist just off the grid, just below the radar, and always in beautiful pieces." "Consider Andrew Zornoza's "Where I Stay" a loose retelling of Werner Herzog's 1974 march from Munich to Paris to try to save a dying friend—only set in the arid, ominous nowherescape of the contemporary Southwest and composed by a strung-out W.G. Sebald. Zornoza dedicates the book to "all those he's lied to" before prosecuting a narrative in stark photographs and crisp, lurid text that will make you wish we had more liars like him in the world."